Maureen Johnson | Read Sam, Read! Summary: This is the story of high-school senior Jane Jarvis, who gets in over her head–which isn’t difficult because she’s very short. She’s also very smart, and when her best friend, Allison, starts acting oddly, it doesn’t take Jane long to figure out that there’s some unholy connection between Ally and mysterious Lanalee, a new girl at their Catholic school. Connection, indeed. As it turns out, Ally has sold her soul to junior devil Lanalee in exchange for popularity; however, Jane doesn’t buy Ally’s tearful confession. Boldly, she informs Lanalee that she will take Ally’s place (she really thinks the whole thing is bunk). Bunk it is not, and soon enough Jane finds herself in the fight of (and for) her life. Johnson does a very clever thing here. She takes a typical high-school story about popularity (amusing enough in Jane’s snarky voice) and turns it on its head when evil comes on the scene. 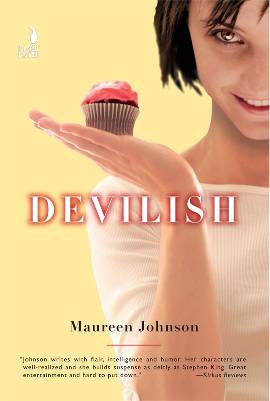 Review: So, I think everyone already knows about my epic Maureen Johnson love and Devilish didn’t change anything; in fact, I think it made me like her more! I love the main character; she was cute and short and had spiky hair but was really opinionated. She was super real and, unlike some of the characters, felt the most alive of anyone in the story. I liked that she totally refused to believe that there was anything weird and otherworldly going on, unlike most of the people in fiction today who seem to accept the fact that they’re fairies or whatever with no weirdness whatsoever. She made up all these excuses as to why it couldn’t be happening, even though her history book just randomly burst into flame. I don’t know, I thought it was funny. The only problems that I had were: a) the rushed romance that I didn’t really feel all that into and b) her best friend’s personality. I mean, in the beginning of the story, her best friend Allison seems pretty real and kind of OCD, but after about the first scene with her, I saw nothing of her personality. I just didn’t like her and I didn’t understand why the MC was friends with her. The romance in the story, which was obviously a subplot, felt a little rushed and unreal. It seemed like there should’ve been more scenes with the two of them to make their mutual feelings develop, but there was nothing. I didn’t get that whoosh in my stomach kind of thing that I usually get from a kiss and it made me sad. 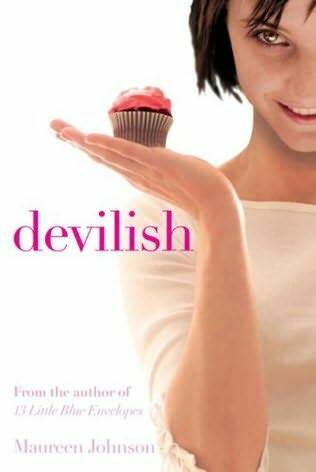 Overall, I really enjoyed Devilish. It was a quick read and despite some problems with character, I would definitely recommend it. Summary: Scarlett has grown up in a most unusual way. Her family owns the Hopewell, a small hotel in the heart of New York City. Her nineteen-year-old brother, Spencer, is an out-of-work actor facing a family deadline to get his career in order. Eighteen-year-old Lola has the delicate looks of a model, the practical nature of a nurse, and a wealthy society boyfriend. Eleven-year-old Marlene is the family terror with a tragic past. When the Martins turn fifteen, they are each expected to take over the care of a suite in the once elegant, now shabby Art Deco Hotel. For Scarlett’s fifteenth birthday, she gets both the room called the Empire Suite, and a permanent guest named Mrs. Amberson. Scarlett doesn’t quite know what to make of this C-list starlet, world traveler, and aspiring autobiographer who wants to take over her life. And when she meets Eric, an astonishingly gorgeous actor who just moved to the city, her summer takes a second unexpected turn. 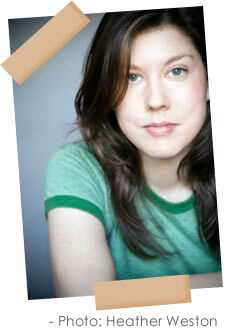 Review: First of all, may I say that I love Maureen Johnson? I kept stumbling across her books and not noticing the name until recently, after I read Girl at Sea. She is hilarious. And she’s totally cute! But anyway, onto the book! I loved Suite Scarlett from the very beginning. Johnson’s writing is, as I said, hilarious, but also very true to life. She doesn’t over describe things or pad her paragraphs with cliches. She writes the way I aspire to, almost as if you’re just talking. Her characters are almost so real that they jump off the page; my favorite was definitely Spencer, the older brother unemployed actor. He and Scarlett have a connection that I wish I had with my siblings and it makes sense: they formed a bond when their little sister, Marlene, was in the hospital. Marlene is also an exceptional character: she had cancer when she was younger, so her parents don’t boss her around and she acts like a spoiled brat because she can do whatever she wants. I loved the fact that she was like that. It seemed so real to me. The love story was cute and I loved that it wasn’t the entire point of the story; there’s obviously more to Scarlett’s life, which is how it is in reality. And Eric seemed very true-to-life, although I thought she should’ve dropped him at the end. Overall, I loved Suite Scarlett. However, it doesn’t get a 5 star rating because of one thing that just niggled at my brain the entire time: the story didn’t seem… finished. It felt like just an episode in Scarlett’s crazy life, not something that totally changed as a person. Sure, there was character development, but it didn’t seem SO significant. I know that there’s a sequel coming out, so that might be why I feel like her story isn’t over. In My Mailbox explores the contents of my mailbox (or, in this case, what I’ve taken from the library). It is hosted by The Story Siren and was inspired by Alea of Pop Culture Junkie. Next Post: Review of Suite Scarlett by Maureen Johnson!